The Employees Provident Fund (EPF) announced dividend rate of 5.70 percent for the financial year ended 31st December 2016. The dividend is 0.70 percent lower than 6.40 percent announced in 2015. The total dividend payout stand at RM37.08 billion from RM46.56 billon income. The remaining are used for investment expenses, operating expenditures, statutory charges and net impairment allowance on financial assets. The income is an increase of 5.25 per cent compared with the RM44.23 billion recorded in 2015. The Employees Provident Fund (EPF) announced dividend rate of 6.40 percent for the financial year ended 31st December 2015. It was the second highest since year 2000 and lower than 6.75 percent announced in 2014. The total dividend payout stand at RM38.24 billion from RM44.23 billon income. The remaining are used for investment expenses, operating expenditures, statutory charges and net impairment allowance on financial assets. The payout representing an increase of 4.48 per cent compared to RM36.60 billion recorded in 2014. Employees Provident Fund (EPF) contributors may choose to have a Syariah Compliance KWSP-i account when the amendments to the Employees Provident Fund Act 1991 are passed in Dewan Rakyat in the current parliament session. The new account will be managed and invested according to Syariah principles. The amendments to the EPF Act 1991, will also provide for the establishment of a Syariah Advisory Committee and an Investment Panel to ensure Syariah compliance. With the creation of the KWSP-i account, Section 27 of the Act will be amended to enable two dividend rates to be announced for EPF contributors, each for Normal & Syariah compliance account. 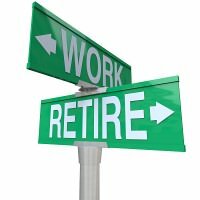 Just as everyone has long expected, the EPF is finally beating the war drum of upping the withdrawal age, in trying to be logical and in trying to be in lockstep with the retirement age. This will of course deny millions of contributors of early access to their hard-earned money. To avoid huge public backlash, the EPF decided to perform a “market survey” first, just to have a taste what the public is actually thinking. Ever since the government pushed the retirement age upward to 60 years old, the threat of higher withdrawal age is always looming large for all Malaysians.